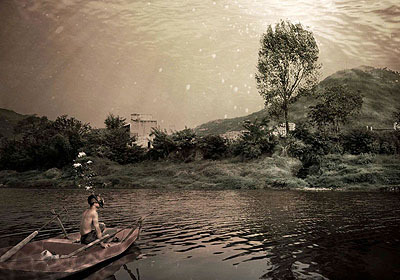 YANG Yi: "Uprooted #12: Old Town of Kaixian, The Ring Road" , (2007) C-Print. 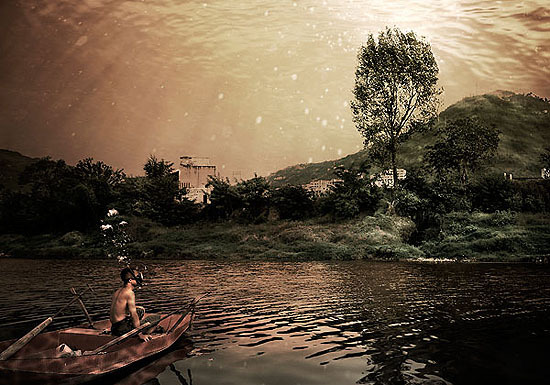 100cm x 70cm, Edition of 12; 150cm x 105cm - Edition of 6., © YANG Yi. Courtesy of m97 Gallery. 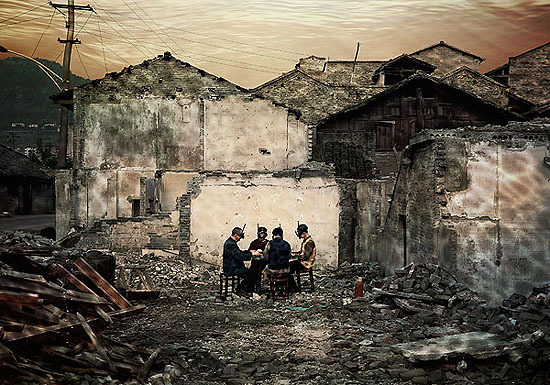 YANG Yi: "Uprooted #14: Old Town of Kaixian, South River" , (2007) C-Print. 100cm x 70cm, Edition of 12; 150cm x 105cm - Edition of 6. , © YANG Yi. Courtesy of m97 Gallery. 97 Moganshan road, 2nd floor. YANG YI: "Uprooted #12: Old Town of Kaixian, The Ring Road" (2007) C-Print. 100cm x 70cm, Edition of 12; 150cm x 105cm - Edition of 6. , © YANG Yi. Courtesy of m97 Gallery. 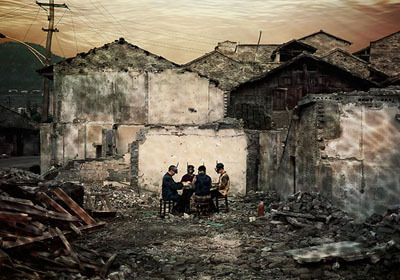 YANG YI: "Uprooted #14: Old Town of Kaixian, South River" (2007) C-Print. 100cm x 70cm, Edition of 12; 150cm x 105cm - Edition of 6. , © YANG Yi. Courtesy of m97 Gallery. YANG Yi: "Old Town of Kaixian, South River" (2007). C-Print, 70cm x 100cm. Edition of 12., © YANG Yi. Courtesy of m97 Gallery.